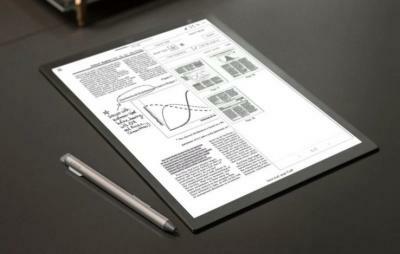 Sony's DPT-RP1 is the company 2nd-gen 13" Digital Paper tablet that features a 1650x2200 (206 DPI) Mobius flexible E Ink touch display, Wi-Fi and support for handwriting input. The DPT-RP1 will cost $700. 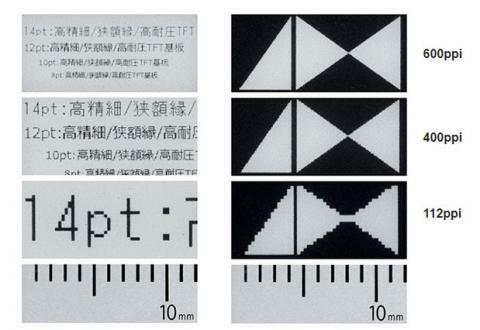 Japan Display (JDI) announced that it has developed the world's highest-definition e-paper backplane, that enables E Ink dispalys to reach 400-600 PPI. This development is the first achievement of the strategic alliance between JDI and E Ink announced in November 2016. The new backplane is based on LTPS (the same backplane used for high-end LCD and OLED displays) and enables e-paper displays o reach WXGA and FHD resolutions. 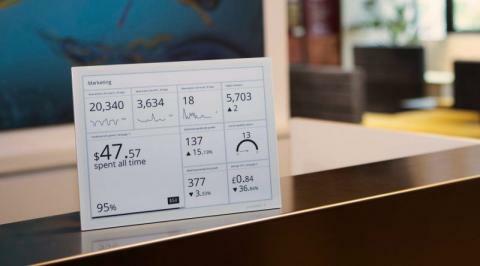 Visionect announced a new 13.3" E Ink based sign display called OneThree. This battery-powered wireless display is a "place & play" digital sign that can display information in any place. The OneThree casing is made of fully recyclable aluminum and glass and the display is a low-power E Ink display (Visionect says that it uses as much energy in a year as it takes to boil a cup of water). The OneThree will start shipping in the fall of 2017. Carrefour's Nolim e-reader (developed by Bookeen) is a 6" E Ink (Carta 1024x758) e-reader that features 8GB of memory and frontlight. This e-reader was designed to look and feel like a real book. The Nolim e-reader is available in all Carrefour Hypermarkets for €129.90. 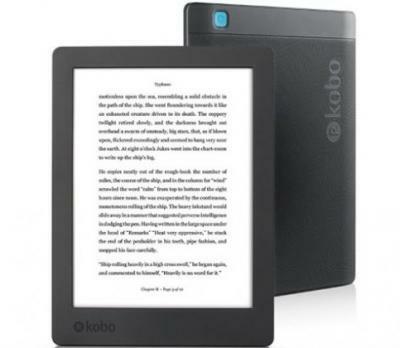 Kobo's Aura H20 is a water-resistant (up to 2 meters) E Ink e-reader that features a 6.8" Carta E Ink touch display (265 PPI), front-light, 8GB of storage and Wi-Fi. The Aura H20 is shipping globally for $179.99. 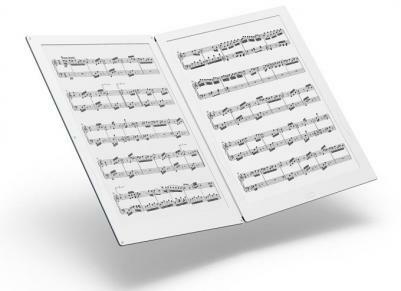 In June 2016 Terrada announced its Gvido E Ink sheet music device, that lets you see sheet music pages (PDFs) on two 13.3" flexible (Mobius) E Ink displays. The company now announced that it plans to start shipping this innovative device by the end of 2017. The device also includes input via a stylus (Wacom). The device features Wi-Fi, bluetooth, 8GB of internal memory and micro SD slot. The whole device weighs only 650 grams.